This week, Too Fat Lardies posted some new army lists for their Sharp Practice rules on Lard Island News. These army lists cover Guerrillas in the Peninsula War. The blog post discusses the role of guerrillas in the conflict, as well as providing a downloadable document for incorporating them into your army. Staying with Too Fat Lardies, who can forget that legendary hero Richard Fondler, who first appeared in print as a scenario book for the first edition of Sharp Practice. Well, this week Richard Clarke announced the return of the much-loved Captain to Sharp Practice in blog post which also explained how you can use the Dawns & Departures supplement to create a swift campaign setting. Footsore Miniatures have just revamped their website. These fantastic looking miniatures now have a new-look online display case. Beware, this site is dangerous to your wallet! We have seen some of the first pictures of plastic Zulu Wars British Infantry from Perry Miniatures, which are likely to be released at Salute. As with pretty much all the Perry’s ranges, these look fabulous. Fireforge Games have announced that their next set of plastic miniatures will be post-Viking Scandanavian Infantry. The box will allow you to build 25 miniatures. It looks like they are aiming for an April release, so hopefully we will see these at Salute. 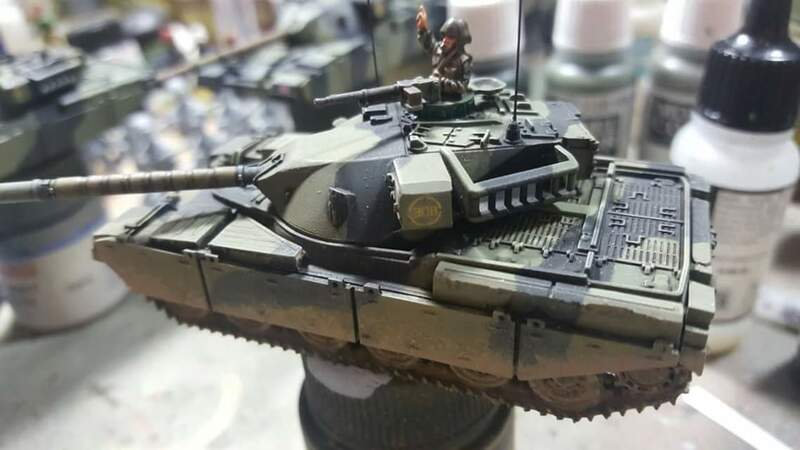 The Plastic Soldier Company have just put a new tank box up for pre-order: the T55 MBT. Whist this is not due for release until April 22nd this year, it shows that PSC are moving into designing more modern kits, so we are likely to see at lot more of these in the future. Frostgrave author Joseph A. McCullough has recently posted the cover art for a new set of skirmish rules – Frostgrave: Ghost Archipelago. This looks to take the Frostgrave into a new area. There isn’t too much details about this game yet, but I assume it looks at taking the Frostgrave mechanics and adding a completely new campaign setting. It’s due out in the second half of 2017. Fantasy Flight Games will soon be releasing their first mass battle miniatures game – Runewars. This is exciting, since it’s a move into miniatures gaming from a company that is well known for its high production values and catalogue of great games. What’s more, looking at the previews, the game sounds like it is using some new mechanics, or at least, new to this type of miniatures game. It looks like units will be ordered and moved in a similar way to the way to how ships are moved in the X-Wing Miniatures game. It will be really interesting to see how this game develops – no doubt a massive wave of expansions are in the pipeline. Unless I get chance before, this game is near the top of my list of demos to try at the UK Games Expo. Crooked Dice have recently posted up pictures of their new Giant Ape miniature, which is due for release in February. It’s a resin kit and is like to cost around £8. Fans of Congo take note – you will probably need one of these. Nice, isn’t it? Moving onto terrain, Cigar Box Battle are offering a new range of plush terrain mats. Cigar Box mats are incredibly good, so it will be interesting to see what a difference this new plush finish will make compared to their existing products. Staying with terrain mats, Deep Cut Studio have produced a new mat called Walking Dead Town. The mat is 6′ x 4′, but can also be bought as 6 2′ x 2′ mats, which can be orientated in different ways to change the layout of the board – ideal for any zombie or near-future game. GameTerrain are about to release their latest fantasy building – The Wayfarers Inn – and have just released the first pictures of the test castings. This looks like a great addition to their growing range of buildings. Finally, in their January newsletter, GMT Games announced that HexWar Games are working on digital editions of both Commands & Colors: Ancients and Commands & Colors: Napoleonics. The Ancients base game is due for release in the summer of 2017, with the base game for Napoleonics due out by the end of the year.